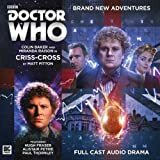 Pete and I had a chat about Doctor Who: Criss Cross, by Big Finish. 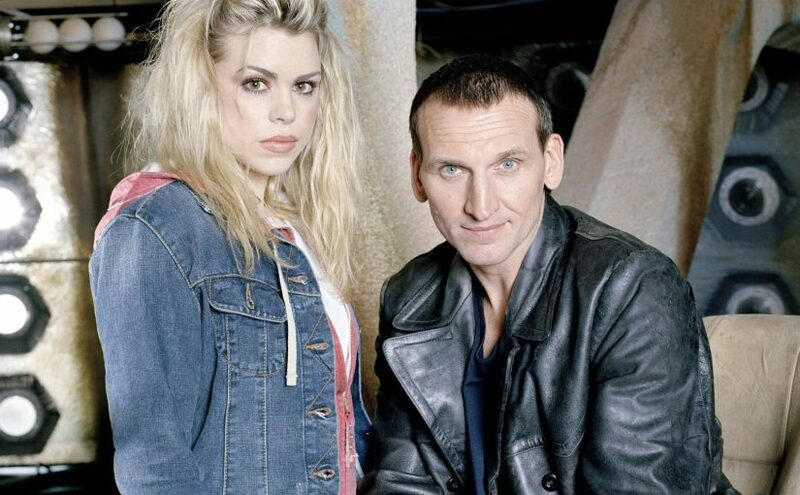 Pete: In a way, everyone jumps into Doctor Who in the middle; there’s a certain joy to discovering the world we’re dropped into, in our own order. 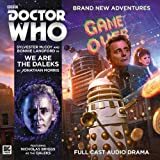 M: It can still seem daunting for new listeners to climb on board the Big Finish train. Recently they’ve decided to play down the continuity of the first 200 and provide a fresh jumping on point for new listeners. 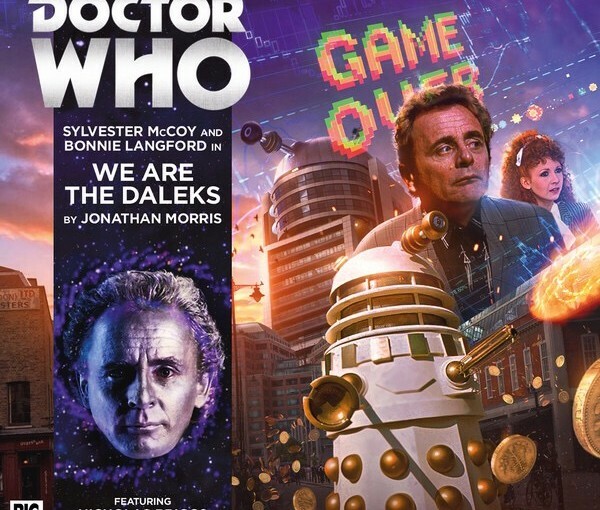 The first three focused on the Seventh Doctor and Mel. P: Return of the Sontarans was really fun; I liked your review. 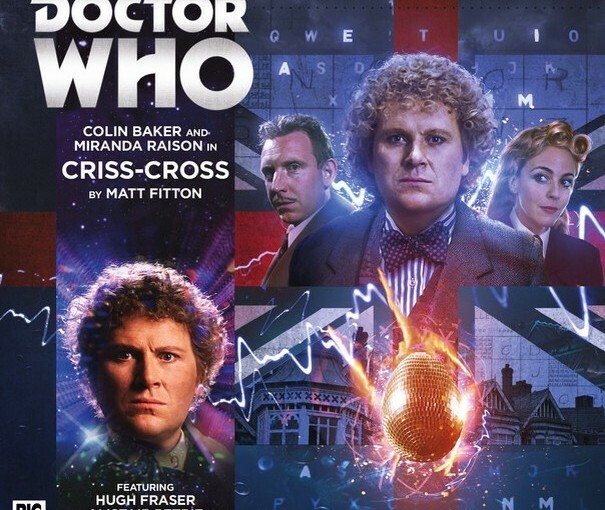 M: Criss-Cross kicks off a brand new trilogy for the Sixth Doctor and Constance Clarke. In a very time-wimey way, we met her in The Sixth Doctor: The Last Adventure. P: The extras for that mention how Colin Baker needed some convincing to sign his character’s death warrant. But he needn’t have worried; it just left me wanting more. It must have helped him, though, to have a glimpse of the future in there. P: This is super timely, too. There’s a new book by Tessa Dunlop about the women of Bletchley Park, BBC2 have just done a doco on somebody besides Alan Turing and of course there’s the Imitation Game film with Cumberbatch. M: This one’s a gripping war-time story – suspicion and espionage, with hints of sci-fi thrown in. The characters are spies, double agents, Nazis and code-breakers. Matt Fitton manages to perfectly encapsulate the horrendous situations people in war often found themselves. The period feels authentic and Constance Clarke is very much of her time. P: They’ve given her an absent husband like Emma Peel had, but perhaps not like that; we’ll see. Mrs Clarke is both a foil and an asset, which is really good for ‘old sixie.’ Miranda Raison pitches it just right; I remember her from Wreck of the Titan. I’m also hoping to see her in A Winter’s Tale, a new live HD theatre project Kenneth Branagh is doing. 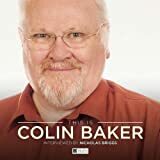 M: Colin is at the top of his game here, the chemistry with Miranda Raison is impeccable, it’s up there with the Seventh Doctor and Ace, or Ten and Donna.